Superoxide Dismutase Activity Assay Kit (Colorimetric) ab65354 is a simple and rapid assay for superoxide dismutase (SOD) activity. The greater the activity of SOD in the sample, the less formazan dye is produced. Superoxide dismutase (SOD) is one of the most important antioxidative enzymes. It catalyzes the dismutation of the superoxide anion into hydrogen peroxide and molecular oxygen. Superoxide dismutase (SOD) is an antioxidant enzyme involved in the defense system against reactive oxygen species (ROS). SOD catalyzes the dismutation reaction of superoxide radical anion (O2-) to hydrogen peroxide, which is then catalyzed to innocuous O2 and H2O by glutathione peroxidase and catalase. Several classes of SOD have been identified. These include intracellular copper, zinc SOD (Cu, Zn SOD/SOD1), mitochondrial manganese SOD (Mn SOD/SOD2) and extracellular Cu, Zn SOD (EC SOD/SOD3). 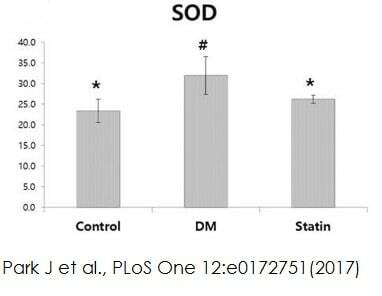 Park J et al investigates the recovery in erectile function after administration of chronic statin alone in DM (streptozotocin (STZ)-induced diabetes mellitus) rats. 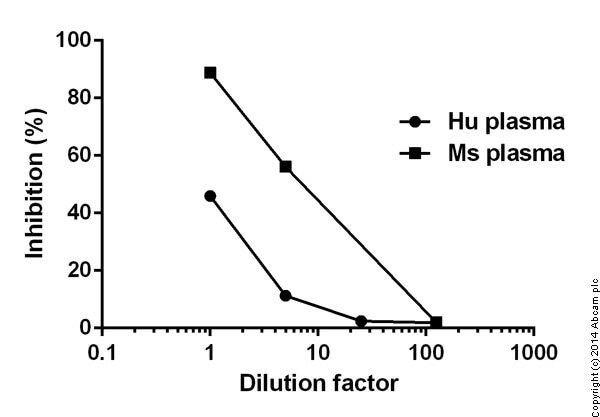 SOD activity was determined using Superoxide Dismutase activity assay kit (ab65354). * Indicates statistical significance in comparison with DM group (P < 0.05). # Indicates statistical significance in comparison with the statin group (P<0.05). Principle of Superoxide Dismutase Assay. The measurement of Superoxide Dismutase (SOD) activity in bacterial supernatants was performed. Bacterial cells were grown in defined medium and harvested at late exponential phase by centrifugation at 15,000 x g for 20 min. The obtained supernatant was sterile filtrated using a 0.22 µm filter. The assay procedure was done according to manufacture‘s instruction for colorimetric assays. 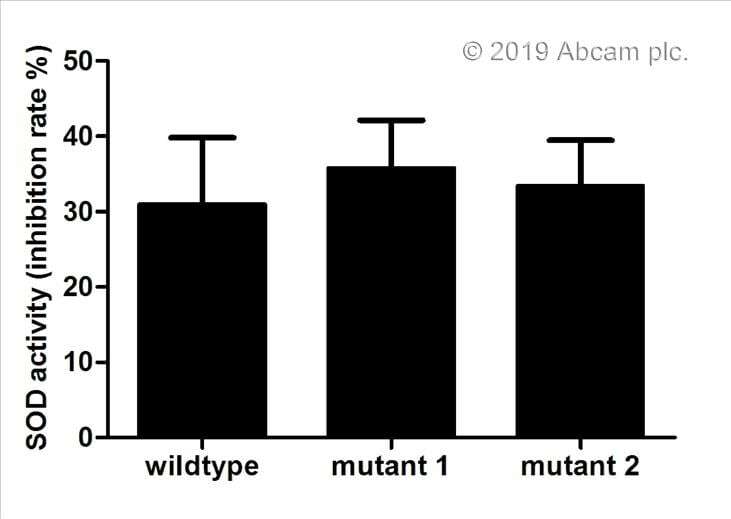 We compared to different mutants with the wildtype strain. Unlike the catalase activity (see catalse acitivity assay from Abcam [ab83464]) there was no significant difference in the activity of secreted SOD.